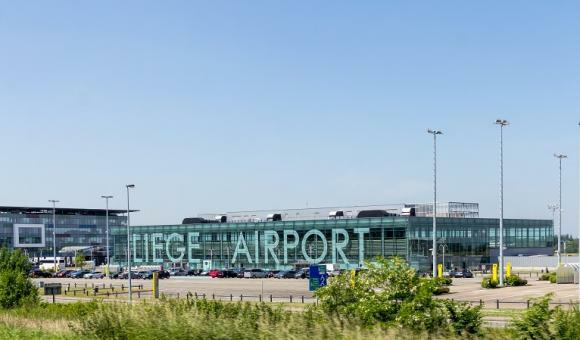 Belgium's number one cargo airport recorded exceptional figures last year. The quantity of goods transported increased by 21.5% compared with the previous year. The full cargo services offered by Liège Airport have grown constantly over the last few years. 2017 had already beaten a record, with almost 717,000 tonnes of goods processed. The site is planning further investments in the construction of warehouses, thanks to the arrival of new businesses, particularly the Chinese e-commerce giant Alibaba. These new contracts will boost the airport's cargo activities and also stimulate the local economy by creating several hundred jobs. The airport's CEO, Luc Partoune, talked about a promising dynamic for the company in an RTC interview, "we are focusing on cargo and that is what differentiates us from the competition [...] we have a stock of potential air traffic that allows us to attract new businesses." As a reminder, the airport's cargo services, which are managed by their "Flexport" brand, specialise in the transport of perishable and non-perishable goods, pharmaceutical products and live animals. This range will soon be supplemented by the e-commerce sector, as Wallonia is particularly suitable for distribution centres. The airport stands out thanks to its fast, flexible service, as well as its highly strategic geographical location.